Driver beware. Car ownership costs can vary widely from state to state. For example driving a car in Georgia, the nation's costliest state to own a car, is about $2000 more expensive than driving the exact same car in Oregon, the nation's cheapest state, according to a new report from Bankrate.com, a personal finance website. Bankrate factored in the cost of gasoline, insurance, repairs, taxes and fees across the nation and found that drivers in Georgia spend $4,233 annually to operate a vehicle, double the amount Oregonians spend. The national average stands at $3,201, the report found. California, Wyoming, Rhode Island and Nevada round out the top five states for car ownership costs. "Georgia has the highest car sales tax and registration fees in the country," said Claes Bell, senior analyst at Bankrate.com. "Taxes and fees are the most important factors that lead to different costs." 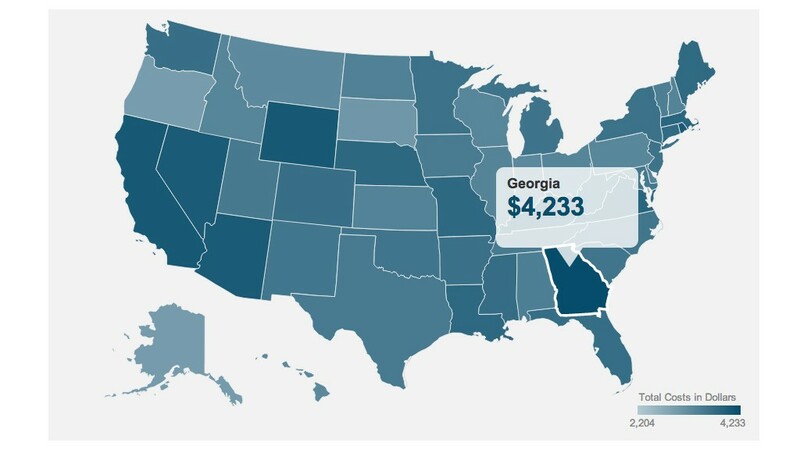 It costs $1952 in taxes and fees associated with buying a car in Georgia, the highest in the nation. Meanwhile, Georgia residents spend a lot of time commuting in their cars due to insufficient public transportation in a sprawling Atlanta, Bell said. All that driving leads to higher costs in gas and insurance. On the other hand, Oregon drivers benefit from the absence of a state sales tax as well as relatively low car insurance costs, the study said. Plus, because many drivers in Oregon live close to work, they drive 16% less than the national average, the report found. Bell said people usually pay a lot of attention to gas prices when considering costs of car ownership, but they fall short in considering many others factors. New York ranks No.20 in the country as New Yorkers don't drive much, despite its high gas and insurance prices. In order to reduce costs, "drivers may try carpooling, move closer to where they work, and shop around for insurance and other services," Bell said. On average, auto insurance costs nearly $800 annually, according to the National Association of Insurance Commissioners, but several factors can impact rates. 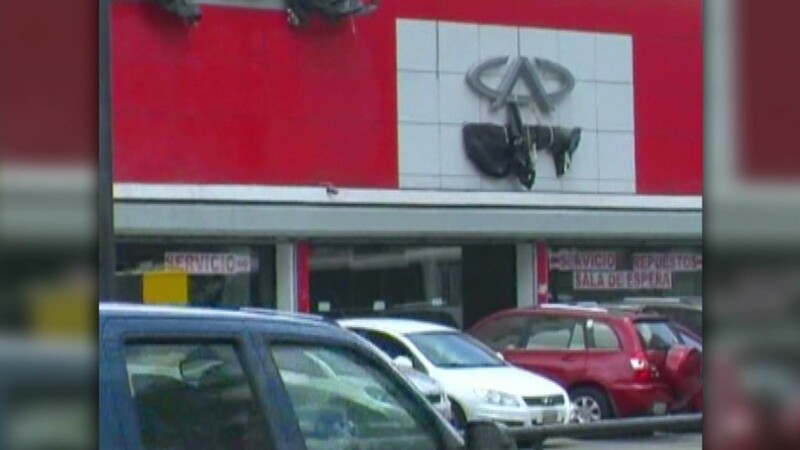 "The insurance companies look at your own driving record, how many miles you have driven, and the model of your car to determine how much it's going to cost them to repair your vehicles," said Michael Barry, vice president of media relations at the Insurance Information Institute. "Generally states with a large urban populations pay more in insurance than suburban and rural areas as there are more cars, more chances for accidents and cars being stolen or vandalized," Barry said.